When I first saw Shimelle's line from American Crafts my jaw dropped when I saw the amount of patterned paper that was in the collection. There was a TON! When I was asked to create some projects for her blog I knew I wanted to focus on patterned paper. You all know that I adore patterned paper and I use it on nearly everything I create. I decided to focus on using smaller bits of paper; specifically small strips of paper. For all of the projects I created the strips were smaller than 1 1/2 inches. 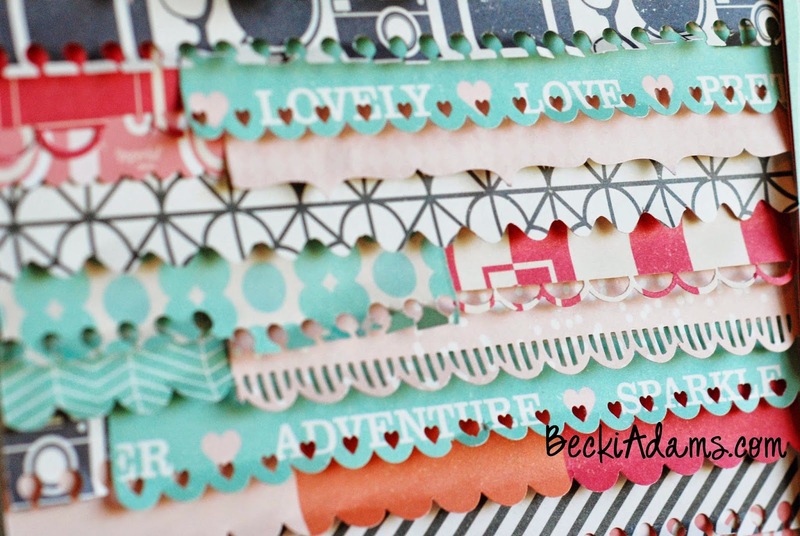 On Shimelle's blog today I have 5 ideas for using strips of patterned paper and I'm sharing one additional idea for strips of patterned paper here. 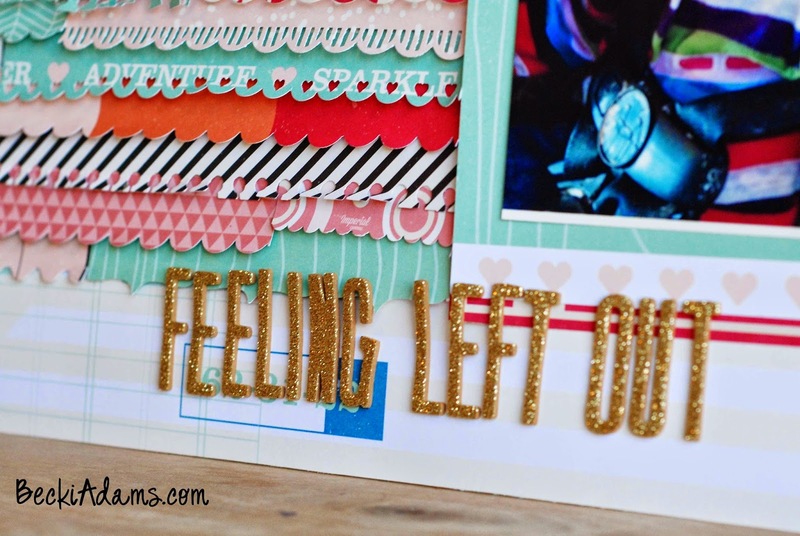 On this layout I put my border punches to work. I used most of my border collection to work. I just punched away on a bunch of strips, different widths and different lengths. I then adhered them to the background paper. I ruffled the edges a bit so the strips were not laying flat against the page. I added my title at the bottom and journaling at the top. 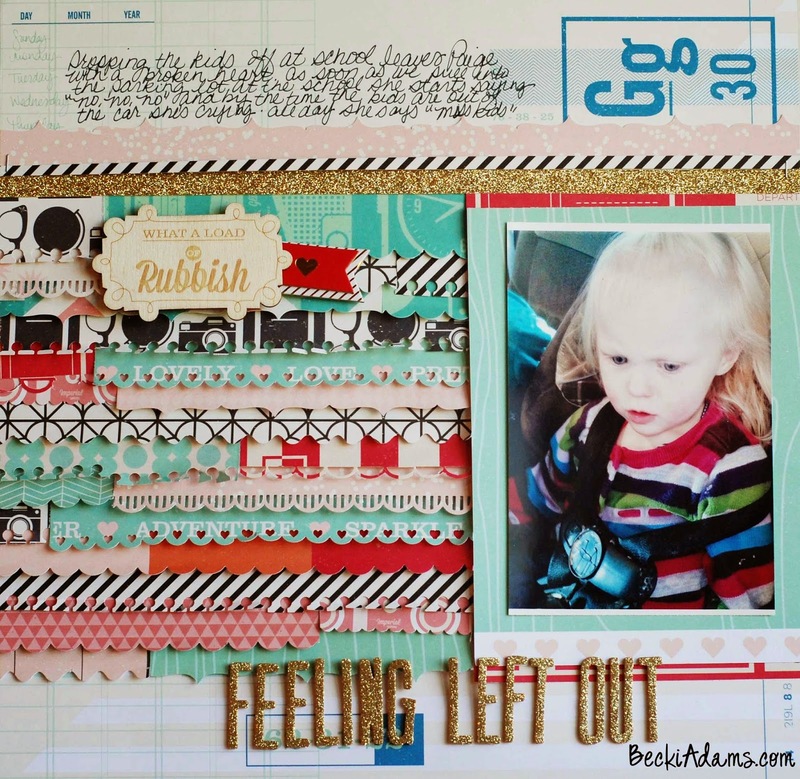 The journaling on the layout talks about how sad my niece is when we drop her siblings/cousins off at school. As you can see she's devastated. Even though we've been doing this routine for weeks now she still cries at every drop-off. Now, you need to hop on over to Shimelle's blog and check out the other 5 projects I created with strips of patterned paper.